Turkey ▸ Food & Drink ▸ Turkish Food ▸ Top Turkish Food Favourites – What’s Yours? Top Turkish Food Favourites – What’s Yours? 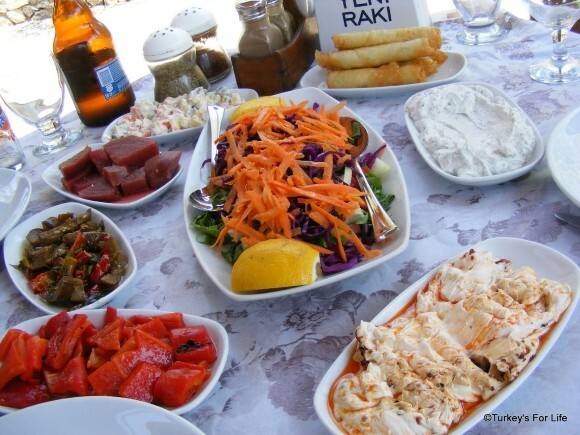 What is the first meal you look forward to eating when arriving in Turkey? That question was just a random one that we asked on our Facebook Page. So many were the answers we received about your favourite Turkish food that we couldn’t just let it go. It became a mini project – tallying up all the replies so that we could create this post. Rather than just us gushing and rambling on about all of our favourite recipes from Turkey and how we love the Turkish street food, this reference point has been created by almost 300 readers. Most of those people either live in Turkey or they are regular visitors. We’ve added our own little Turkish food favourites here and there, too, of course. We can’t resist! We went through every answer given and entered them into a spreadsheet. So now, if you are a Turkey novice and you’re wondering where to start with the mesmerising array of dishes that make up Turkish cuisine, well, this might just be a handy starting point for you. We’ll kick things off with the biggest Turkish food favourites and work our way down. The big favourite amongst readers and Turkish food aficionados! Ahh, what could be better than whiling away a few hours with friends on a Sunday morning/afternoon, grazing your way through the myriad of offerings that make up a Turkish village breakfast. 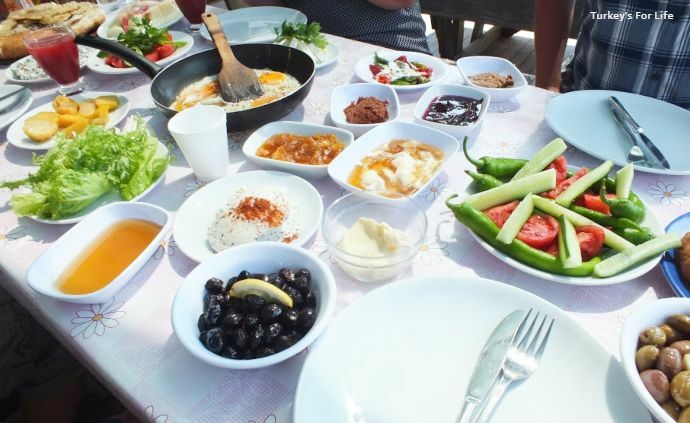 So many places around Fethiye serving huge breakfasts, such as Yalçın in Kayaköy. The photo above is just a fraction of what might appear on your table. If you’re in the city or towns around Turkey, look out for serpme kahvaltı. 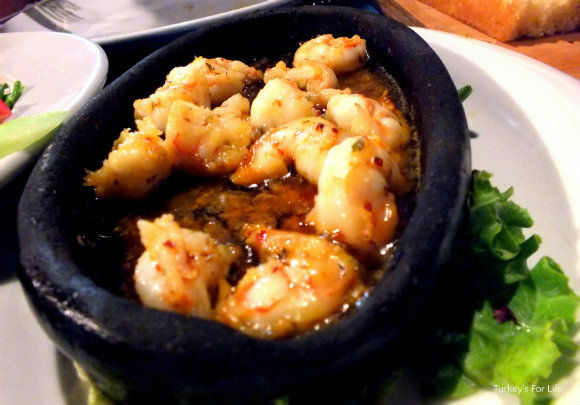 If you’re visiting coastal areas of Turkey, don’t miss out on local seafood dishes. Suggestions from readers varied from a simple grilled seabass with salad – a common way of serving fish in Turkey – to sizzling king prawns in a chilli garlic butter. Other mentions were fried calamari, octopus, hamsi, crab and freshwater trout. Oh, and let’s not forget the balık ekmek of Istanbul. A mackerel fillet griddled while you wait and served on a crusty half bread with salad. In Fethiye, we love to eat seafood at the fish market or take our time over lots of seafood meze at restaurants such as Girida and Denizatı. In Istanbul, Karaköy Balık Pazarı serves up simple, yummy seafood dishes. It’s always our first stop. Back to southwest Turkey and freshwater, live farmed trout is cooked up at places such as Yaka Park and Kırkpınar Restaurant. You can also eat trout in Erciş, close to the shores of Lake Van. Vegetarian options as well as lots of meaty goodness, too. Don’t miss out on this Turkish staple. Pide is easy on the pocket and delicious to boot. 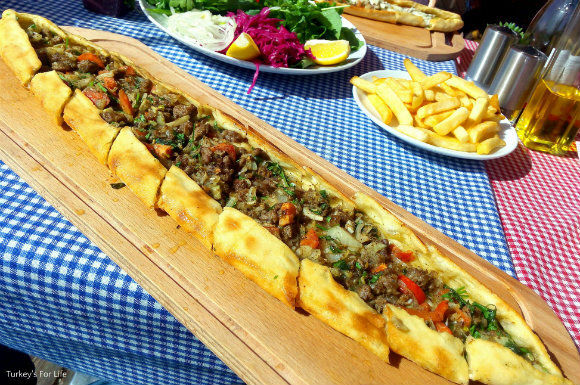 Special mention from readers went to kuşbaşılı (small pices of meat) pide, which is our favourite, too. Lots of great specialist pide salons all over Fethiye – and Turkey. We like to eat pide by the sea in Çalış at Lighthouse or Güven’s. Kumsal in Ölüdeniz serves up mighty pide! 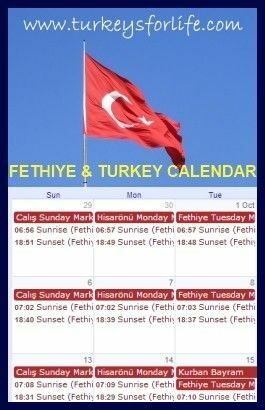 In Fethiye centre, there are too many places to mention. You won’t go far wrong. Turkish bread is just the best. “The bread” was the simple answer that so many readers gave to our question. From a simple loaf from the fırın (local bakery) to Turkey’s famous simit, to village bazlama. A big favourite amongst readers is lavaş bread baked in a hot oven so it balloons. Affectionately known as balloon bread or puffy bread, it’s often served with a ramekin dish of garlic butter and a selection of meze. For us, if you’re in Turkey during Ramazan, don’t miss out on the special bread baked during this time. 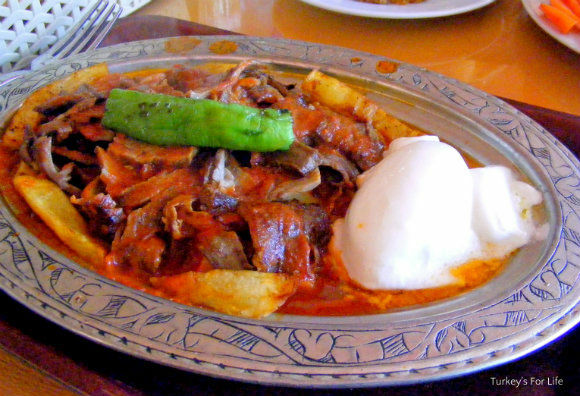 Served all over Turkey but the home of Iskender Kebab is the city of Bursa in northwest Turkey. We love it and even make Iskender Kebab at home. You can’t beat a specialist restaurant serving one up, though. Another great Turkish eating experience where you can graze for hours. Choose your meze from the display fridges in the restaurant. Either make a full meal of it or use them as appetisers. Special mentions from readers were stuffed vine leaves, spicy ezme, haydari and white bean dip. Lots more meze ideas, here, for you. If it all looks a bit overwhelming, your waiter will offer to make up a plate for you with a selection of popular meze. 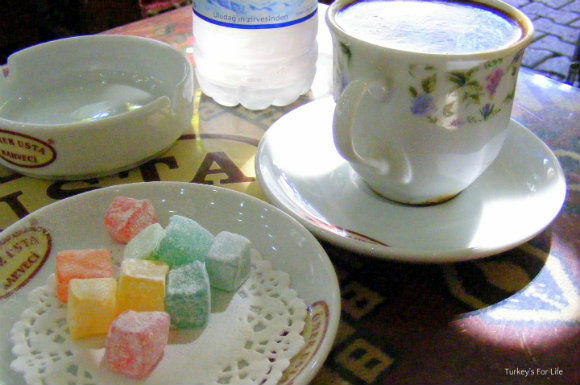 Many Turks love their sweet foods and we’ve listed a few Turkish sweet treats in the past. Most loved by our readers is baklava. This is a must try when you’re in Turkey, even if you don’t have a sweet tooth. Other sweet Turkish food favourites are lokum (Turkish Delight), sütlaç (rice pudding), künefe and Kahramanmaraş ice cream. Güveç is often translated into English as ‘Turkish casserole.’ This can be a bit misleading as they’re often served in a shallow clay pot with little sauce. The one in the photo above is a deep beef güveç served at the Olive Garden in Kabak. Favourites mentioned by readers were lamb, chicken, prawn or seafood. At home, we make a sucuklu güveç. Güveç dishes are sometimes topped with melted cheese. We’re so pleased gözleme is as loved as much amongst readers as it is by us. 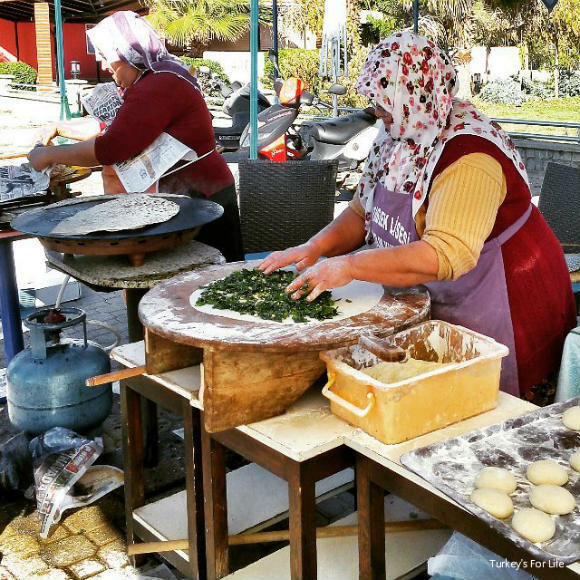 A Turkish food classic, Gözleme is made all over Turkey, especially in village and rural areas. In Fethiye, it’s enjoyed by many at the local markets around town. This simple, delicious flat bread with its various fillings provides fond memories for many visitors to Turkey. If you’re liking the look of it, here’s our guide to gözleme. Made well, you can’t beat quality köfte. Made from minced lamb or beef, these little patties are a joy to the tastebuds. In Turkey, different regions make their own special köfte and there are various ways of serving it, too. 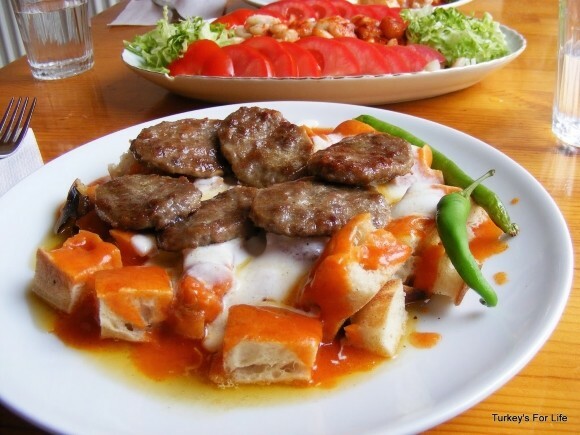 The northwest city of Tekirdağ is famous for köfte so try it there. Izmir Köfte is one to look out for, too. In the east, we’ve eaten Döğubeyazıt Köfte. A simple köfte ekmek is perfect, when you’re in the mood. And we love our köfte even more when it comes with a serving of piyaz. Favourites from readers are also kaşarlı köfte (cheese either in the centre or melted over the top) and kiremitte köfte. 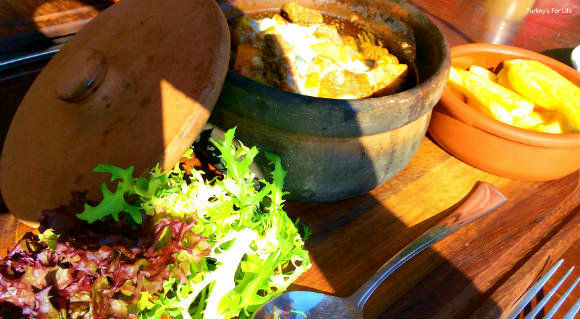 This is where the köfte is served in a clay pot, sometimes topped with cheese. Anything wrapped or built with pastry in Turkey is known as börek and there are sooo many different types, shapes, sizes and fillings, each with its own name. Börek tends to be made from yufka (phyllo pastry) or milföy (puff pastry). Favourites amongst readers when they come to Turkey are sigara böreği (cheese rolls), spinach and potato puff pastry rolls and seafood börek. If you’re visiting inland Turkey, çiğ börek from Eskişehir should also be on your Turkish food to-do list. We’re talking dürüm (wraps), half breads (yes, that’s a loaf, cut in half) and village breads. And yes, readers’ favourites include the famous döner kebab. But there are other favourites, too. Adana dürüm got a mention and that’s a favourite of ours, too; especially this one in the photo served up at Çalış Kebabs & Dürüm. In Fethiye, a mix of meat and chicken döner from Yengen is also a favourite for us. Kebabs such as dürüm and half bread are great tummy fillers for those of you in Turkey on a budget. A guide to Turkish food wouldn’t be complete without a mention of menemen. It might not look, or sound, great but menemen is a classic Turkish brunch dish that is just delightful. Tomato, onion and peppers fried, before adding eggs to scramble. In some places, menemen is an art form and the tomato sauce cooked for hours before it’s deemed ready to be part of the menemen dish. A round flat bread topped with finely minced, spiced meat before being baked for just a few minutes. Add your salad, a squeeze of lemon juice, roll it up and enjoy. 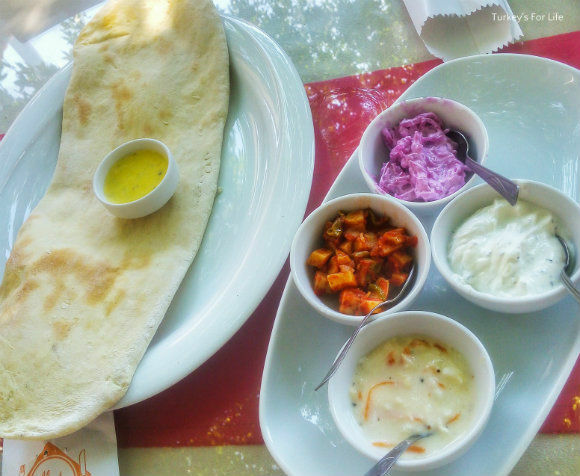 Most people order at least two lahmacun – a yummy cheap treat. All those meats that are grilled over coals on a skewer; that’s your şiş kebab. One of our favourites was liver şiş in Ankara. Readers’ favourites are chicken şiş and lamb şiş. In seafood restaurants, you can also get swordfish şiş. Yummy! Turkey has got to be the champion of soup making and soup consumption. Readers’ favourites are Ezo Gelin (a red lentil soup made with rice and bulgur), plain lentil soup and chicken soup. Soup is eaten at all times of day and night, especially in lokantas. In Fethiye, don’t miss out on the 24 hour lokanta experience by eating soup at somewhere like Seçkin Restaurant at some silly hour of the morning after a night out. The lovely chicken soup in the photo above is from Begonya Ev Yemekleri in Çalış. If we were forced to answer the question we put to our readers we would probably go for balık corbası (fish soup) at Karaköy Fish Market in Istanbul. A meaty stew slow cooked in the oven in a sealed clay pot. This is another readers’ Turkish food favourite. Eat desti kebab as much for the experience as the tasty dish. The clay pot will be brought to your table and smashed open with one clean break to release the stew. An abundance of fresh vegetables and salad stuffs, not to mention the legumes, meats and cheeses. It is rare to see a Turkish person eating a meal without a salad of some description on the table. This could be an elaborate concoction or just a simple plate of rocket or parsley. Readers’ favourites that received special mention are chicken salad and semizotu (purslane) salad. Aubergines feature heavily in Turkish cuisine and they’ve definitely made an impact on us. And, clearly, on readers, too. Imam Bayıldı was singled out, in particular, by a few readers as a Turkish food favourite, as was Ali Nazik and Hünkar Beğendi. Every list should contain mantı so we’re pleased this famous Turkish food was suggested by so many people as the dish they most look forward to when they arrive in Turkey. 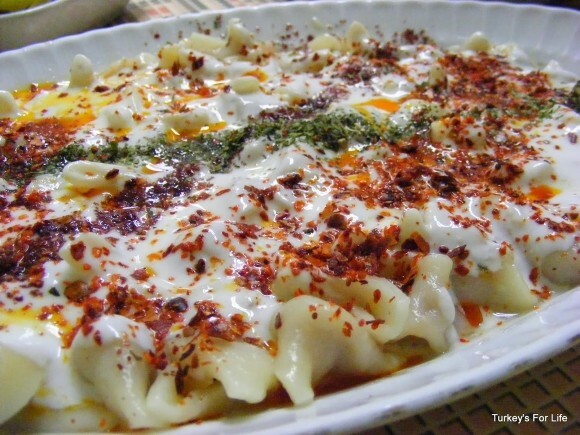 Again, mantı is made differently in the various regions of Turkey. Kayseri Mantısı is perhaps the most famous and is served in lots of places around the country as well as Kayseri. Tiny little dumpling parcels filled with minced meat. Yoghurt, oil, mint, oodles of chilli flakes. Oh, yes, please! The local yufkacı (dough maker) will make mantı and sell it dried. We buy this to eat mantı at home. So, those were the top 20 favourites offered by our readers. But it doesn’t finish there. We didn’t want to ignore any favourites even if only one person suggested it. The rest of these foodie treats were suggested four or fewer times but, in our opinion, are no less tasty. Arnavut Ciğer – Albanian Liver: Juicy chunks of liver coated in corn flour and flash fried. If you thought you didn’t like liver, this might convince you otherwise. Biftek – Steak: The steakhouse is a bit of a thing in Turkey these days. Our favourite Fethiye steakhouse is Çarıklı Et Restaurant. 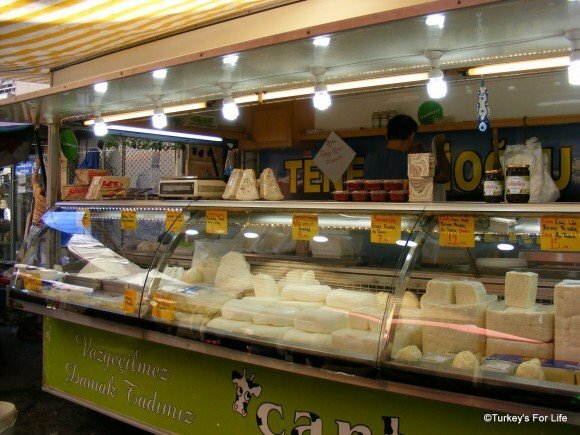 Peynir – Cheese: Turkey is famous for various cheeses. And, again, these are often regional. Beyaz peynir (white cheese) is a staple, as is Izmir Tulum and kaşar. In the east, make sure you sample some Kars Gravyer Peynir. Meyveler – Fresh Fruits: Cherries and fresh figs received special mention. 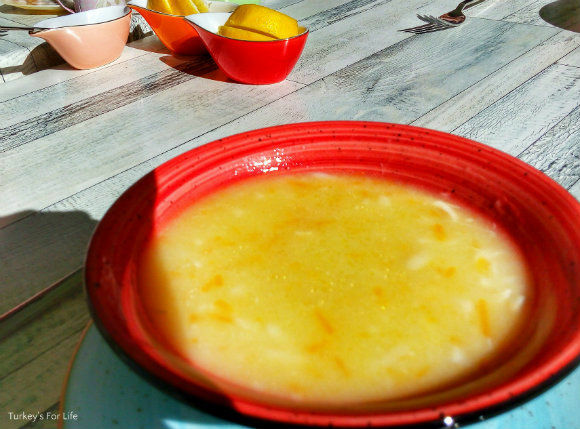 Musakka: Head to the lokantas for a delicious bowl of Turkish musakka. Adana Kebab: Spicy minced lamb, grilled on a skewer. Boat Trip Lunch: Yes, especially in Fethiye, head out on a boat trip on one of the smaller boats and your barbecue lunch served with oodles of meze dishes will indeed be memorable. Rice: We all love a portion of Turkish rice on our plates. Beyti Sarma: Love this kebab. Most specialist kebab joints will serve up a great beyti sarma. Pirzola: Mmmm, grilled lamb cutlets. It’s that simple. Kuru Fasulye: Again, simplicity at its best. We’re talking beans! Specialist kuru fasulye places in Istanbul make for a memorable foodies treat. We also make a meaty kuru fasulye. 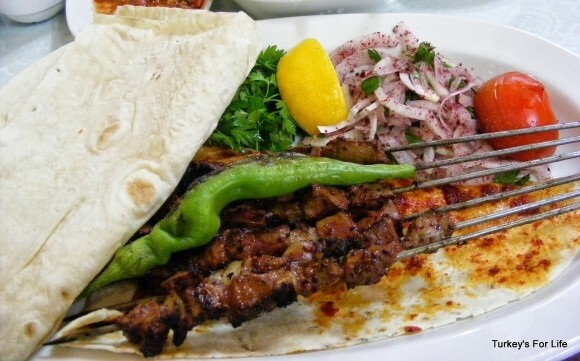 Lamb Tandır: Just wow! Slow cooked lamb bought by weight. Cin Bal in Kayaköy is well known for its tandır. 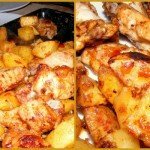 Chicken dishes: From stuffed chicken breast (tavuk dolma) to tava (stir fried chicken) and lots in between. 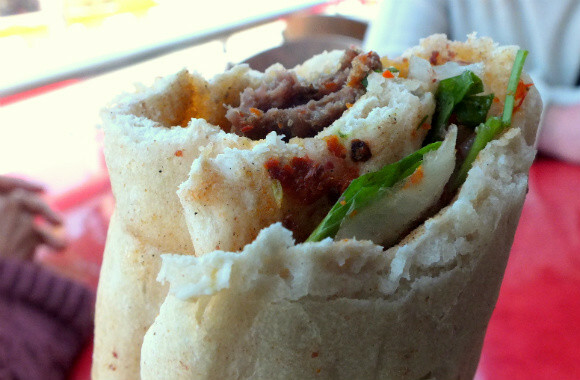 Manisa Kebab: It seems we love our Turkish meats served atop some pide bread. You’re likely to find Manisa Kebab along the west coast of Turkey in the Aegean areas. Kokoreç: Perfect street food. Get over the fact that this is lamb’s intestine and you’re in for a tasty treat. We love to visit the kokoreç guy in Galata in Istanbul. Tost: Think toastie! In Fethiye, there’s a specialist tost place that does a roaring trade. İçli Köfte: Minced meat and pine nuts in a bulgur casing. Yummy. Sometimes lost in translation! Kumpir: A jacket potato with all manner of weird and wonderful fillings. Kumpir is famous in Ortaköy in Istanbul but is eaten all over Turkey. Tantuni: Mmmm, so long since we’ve had a tantuni. 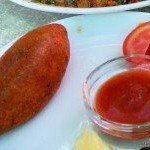 Famous to the city of Mersin but we love a tantuni in Istanbul. Yoghurt: Turkey is said to be the home of yoghurt. Eaten as a side to most dishes, mainly as a savoury. However, yoghurt and honey is also a great breakfast treat. Sulu Yemek: When you go into a lokanta (a type of Turkish canteen restaurant) you can choose dishes from the bain marie. There is so much choice and these dishes are often known as sulu yemek (meals with water) because they have lots of juices. Çiğ Köfte: Aww, and last but not least – for us, anyway – çiğ köfte. We’ll let Orhan Usta show you how the çiğ köfte dürüm is built. And that’s it. But don’t forget; this is not a list of all the Turkish food you should eat when you come to Turkey. Wow, we could go on and on and rattle off so many more suggestions. When you do know, though, is that these dishes are Turkish food favourites for around 300 people. Well, that must speak for something. Thanks so much to all the readers who helped us to build this post. Happy eating! Want to join in? Tell us in the comments below: What is the Turkish food you most look forward to eating when you arrive in the country? I bet there isn’t anyone not a Turk who could love Turkey more than I do! My first visit was in 1988. Most hospitable people, amazing history, gorgeous land, and the FOOD IS STELLAR. In 1995 I returned to research the cuisine in depth because I was going to write a guidebook about it. The guide I wrote became a part of my EAT SMART series of culinary guidebooks to foreign destinations, published by Ginkgo Press in Madison WI. I began leading culinary tours there in 1998, and since then have led at least one annual tour for just about all years to date except in 2016 and 2017 because too many folks were worried about the unrest there. Next year, however, we are going to do a custom tour for those who want to visit again, or for the first time. The question was raised on this blog about what one’s favorite Turkish food might be. That is a difficult question to answer because there are so many terrific dishes. Everyone must go to Turkey at least once!! And see if you don’t want to go more often after that! Thanks for establishing this blog to help spread the word about fabulous Turkey. Sure a lot of Turks might be able to argue about that one. 🙂 Yes, there are lots of favourite Turkish foods out there for us. Wouldn’t like to have to choose just one. Next questionnaire – least favourite Turkish food.